LAS VEGAS – A casino owner-turned-commercial developer is asking $7.85 million to sell a Las Vegas home, and he’s willing to accept the online currency bitcoin for the deal. 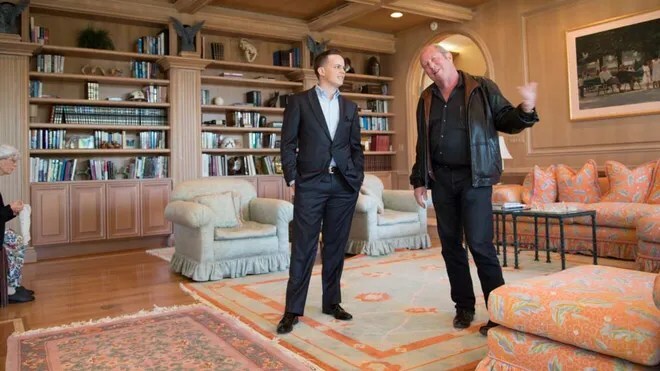 Jack Sommer said he got the idea to seek bitcoin for his 25,000-square-foot mansion from two of his sons, who’ve been involved in making and trading the currency. “The advantage is that we’re expanding our market and adding some notoriety,” Sommer said. Bitcoin peer-to-peer trading began in 2009. Value is purchased through an exchange website with a mainstream paper currency, such as dollars or euros, though trading isn’t government-regulated. Using the currency can streamline international business deals, said Julian Tosh, a consultant and owner of the marketplace website bitcoinsinvegas.com. “There are a bunch of people who have bitcoins, and they’re dying for a place to spend it,” Tosh told the Las Vegas Review-Journal (http://bit.ly/1b2VrHk ). He said Sommer’s willingness to accept bitcoin could open the home to a global audience. “If you increase awareness of potential buyers, you could tap into new markets,” Tosh said. Sommer has put a lot of work into the home in the posh Spanish Trail Country Club. It features marble from China, Iceland and Brazil, a full basement, staff quarters with Jacuzzis, and a secret garden. It also has 39 air-conditioning zones fed from a 120-ton cooling tower. Library shelves are stainless steel clad in American cherry wood, and the view from the owner’s suite is of golf course fairways. Sommer once owned the Aladdin resort, which is now the Planet Hollywood Resort on the Las Vegas Strip. He said he and his wife, Laura, considered the additions they’ve made to the home “an exercise in how many cool details we could put in.” He said they were downsizing now that their seven children have grown and moved out. Sommer’s sales agent, Craig Tann, of Prudential American Group’s Estates of Las Vegas team, said the home may be the first in southern Nevada to be marketed formally around bitcoin. A range of businesses accept the currency. A California Lamborghini dealership sold a $103,000 Tesla to a Florida man for 91.4 bitcoin, the Review-Journal reported, and a Canadian man listed his Alberta home for the bitcoin equivalent of $405,000. The currency hit a watermark when Bank of America Merrill Lynch said this month that one bitcoin could have a maximum value of $1,300, or more than the price of an ounce of gold. A bitcoin on Friday was valued at about $870, up from $10 in January. Tosh acknowledged the volatility in value could make a $7.85 million bitcoin trade risky.